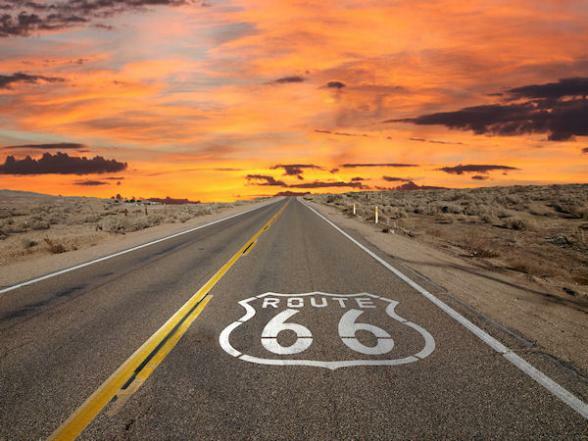 Our Route 66 guided 8 day motorcycle tour from the Chicago to Albuquerque is ideal if you're short on time or just prefer a shorter version of Route 66. 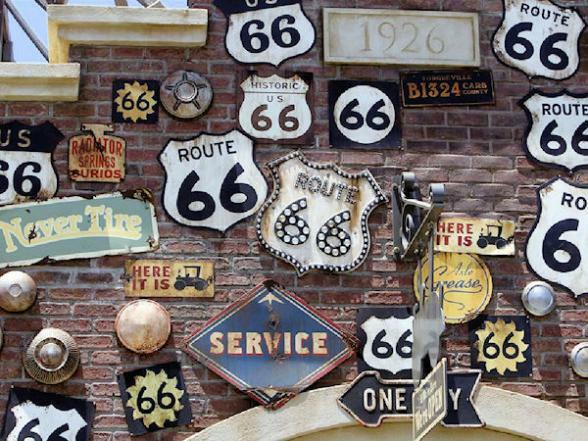 The 1,400 mile ride will take you through six fabulous states - Illinois, Missouri, Kansas, Oklahoma, Texas and New Mexico - most of the Route 66 nostalgia and all the motorbike fun! 2019: 11 April, 2 May, 9 May, 16 May, 30 May, 6 June, 27 June, 4 July, 18 July, 1 August, 15 August, 29 August, 4 September, 12 September, 19 September, 26 September, 10 October and 24 October..
Advance registrations are available for 2020, please call Bon Voyage for further details. Make your own way to your hotel on arrival in Chicago. This evening you'll get to meet your fellow riders at your Welcome Dinner. 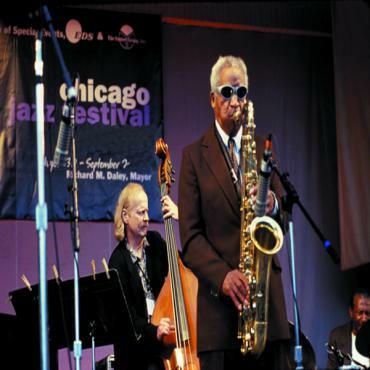 Afterward it's the perfect time to check out Chicago's Jazz & Blues Clubs. We recommend Buddy Guy's Legends, Blue Chicago Grill and The Green Mill - the oldest continuously run jazz club in the USA AND a hang-out of Al Capone's! Your dream Route 66 journey kicks off early this morning when you collect your chosen bike at the start of this legendary route. From Chicago, you'll head south along the Pontiac Trail, the original name for this section of road. 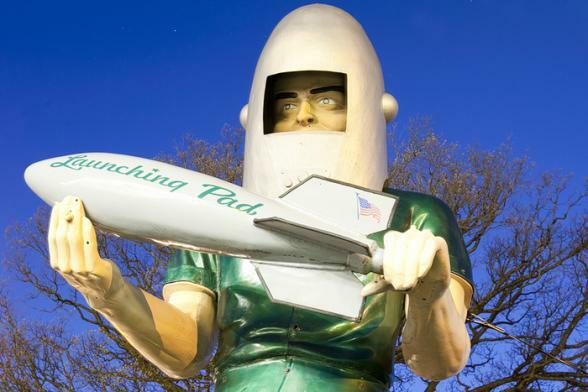 As you cruise through Illinois, you'll experience the iconic Route 66 roadside attractions like the Launching Pad Drive-Inn, Paul Bunyan statue and the Gemini Giant. 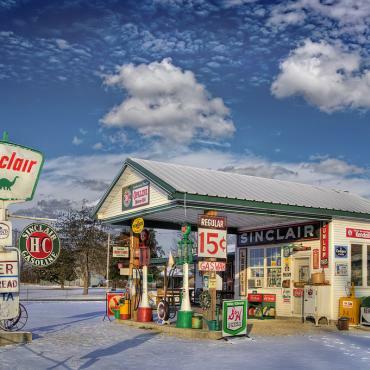 You'll stop at The Route 66 Museum in Pontiac and overnight in Springfield. 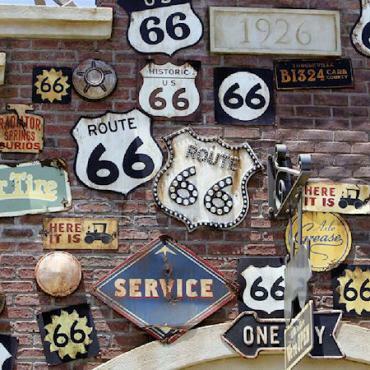 Make sure you head for the Cozy Dog Drive-In, a shrine to Route 66 packed with mementos, clippings and old signs, as well as, kitsch Mother Road souvenirs for sell. And of course, the signature dish - a hot dog on a stick...a Route 66 must! 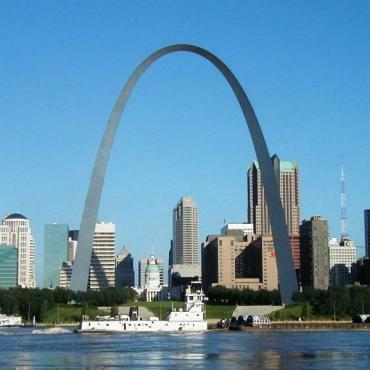 Your off today to 'the Gateway to the West', the city of St Louis. Travel primarily on the two-lane sections of the Mother Road, traversing cornfields and small towns that represent the heartland of America. Cruise over the famous Chain of Rocks Bridge across the mighty Mississippi river and into St Louis. For the best views, head to the St Louis Arch, the tallest National Monument in the USA with 900 tons of stainless steel. St Louis also boasts some of the finest live music venues in the USA and the best BBQ ribs in the country. Watch the sunrise over the Mississippi this morning before hitting the road and rolling hills of 'Mark Twain Country.' Sit on the World's Largest Rocking Chair before winding your way on the twisty-turny roads of Devils Elbow. 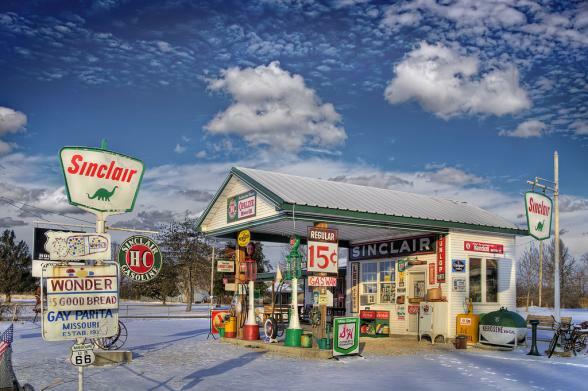 Visit Gay Parita Garage - a Route 66 icon and meet the owner, Gary. In the evening, enjoy the lively downtown area of Joplin. Try the moonshine at Caldone's Speakeasy. In true prohibition fashion, the entrance is covertly located behind the red telephone booth.....cool, eh? Today is ALL ABOUT THE RIDE. Head west into the state of Oklahoma where the landscape begins to change from the rich croplands of the Midwest to the red, dry and dusty Southwest. 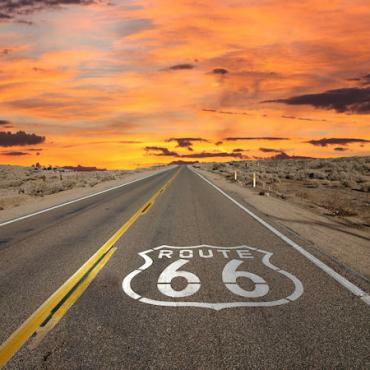 Oklahoma also has the distinction of the most Route 66 miles of any US state. 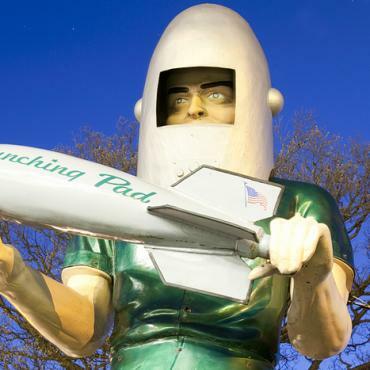 You'll pass through America's heartland before experiencing a traditional diner on the 'Neon Strip' in Tulsa. As you finish your ride for the day, the influence of some forty Indian nations, who share the territory of Oklahoma, will be apparent. 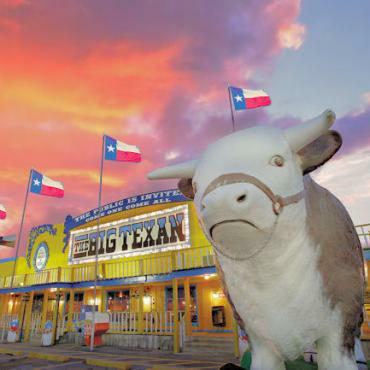 Today you'll cruise along a section of the Chisholm Trail before stopping at the Route 66 Museum in Clinton, considered the best of the best and a proper tribute to mom & pop kitsch. 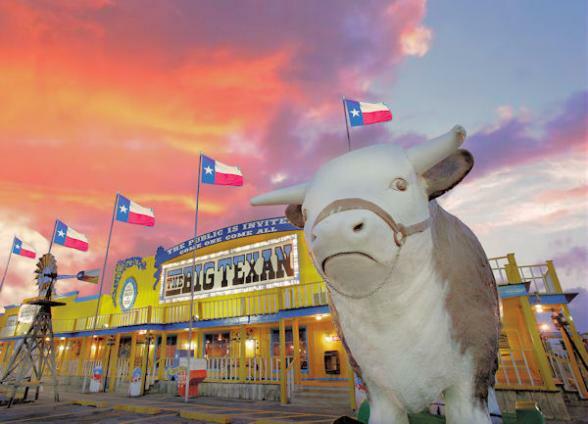 This evening you'll be whisked away in a fleet of old caddies to the famous Big Texan Steakhouse & Ranch to sample some of the finest and largest, 72 ounces to be exact, steaks in the USA. Vegetarian options are also available. Today you'll enjoy the delights of 'The Land of Enchantment' - New Mexico. 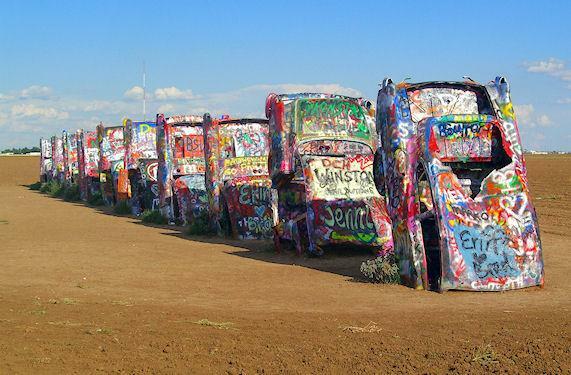 One of the most iconic Route 66 stops is here - Cadillac Ranch, a popular shrine to America's love of the open road. Don't forget your spray paint! You'll also stop at the ghost town, Glen Rio, where you can stand with one foot in New Mexico and the other in Texas. Enjoy views over the mountains as you head up into the High Plains of Central New Mexico. 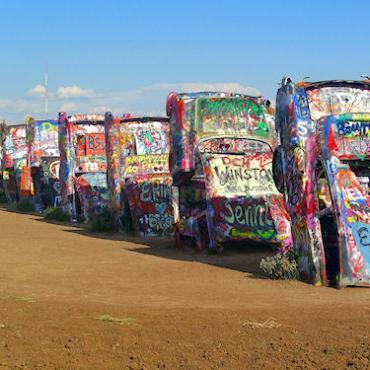 Spend the night in Santa Fe, one of America's oldest and most colourful cities. 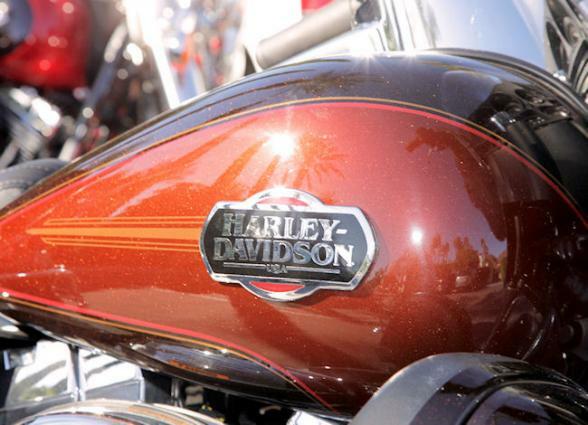 It's a short but sweet ride today to Albuquerque where you'll return your motorcycle before heading home. If you're not quite ready to leave the USA, perhaps swap the bike for a car and head off on a fly-drive adventure through Arizona, Colorado or Utah? 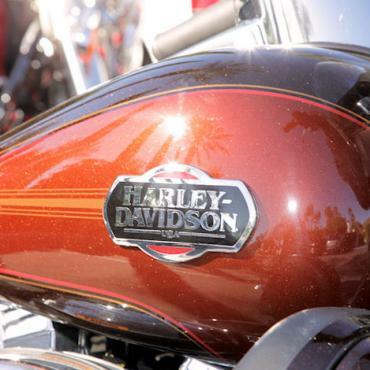 Call the USA experts at Bon Voyage to discuss your ideal Harley holiday.